Munich is a Centre of Excellence for all aspects of Aerospace. The RAeS Munich Branch e.V. acts as a facilitator bringing together members of the local aerospace community to discuss important matters affecting the global industry and the particular influences related to the local environment. 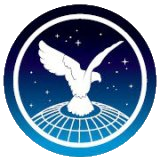 The Branch promotes Aerospace within the wider community by offering a balanced programme of events which are open to all. It especially targets young persons to encourage them to consider a career in the fascinating World of Aerospace.